Hope you all had a good week so far. It’s been a busy week for me. I signed up a watercolor class which requires drawing (My huge weakest). I was in a Love and Hate situation with this class. I guess I could only go forward since I paid in full with no chance of refund. When I was rested, I still crave lots of card making. 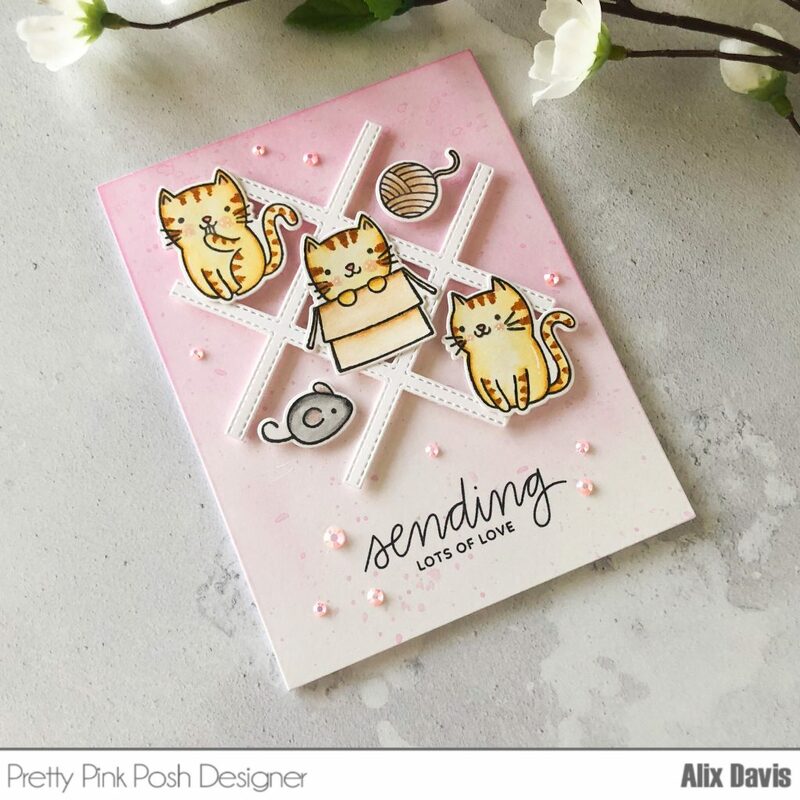 Today I am going to show you a card with some cute kittens from Pretty Pink Posh. To begin with this card, I cut a piece of Bristol smooth paper into A2 size panel and ink blended Tim Holtz Distress oxide ink in Picked Raspberry. Then I mixed ink with water and splattered over top surface of panel by tapping a watercolor brush. 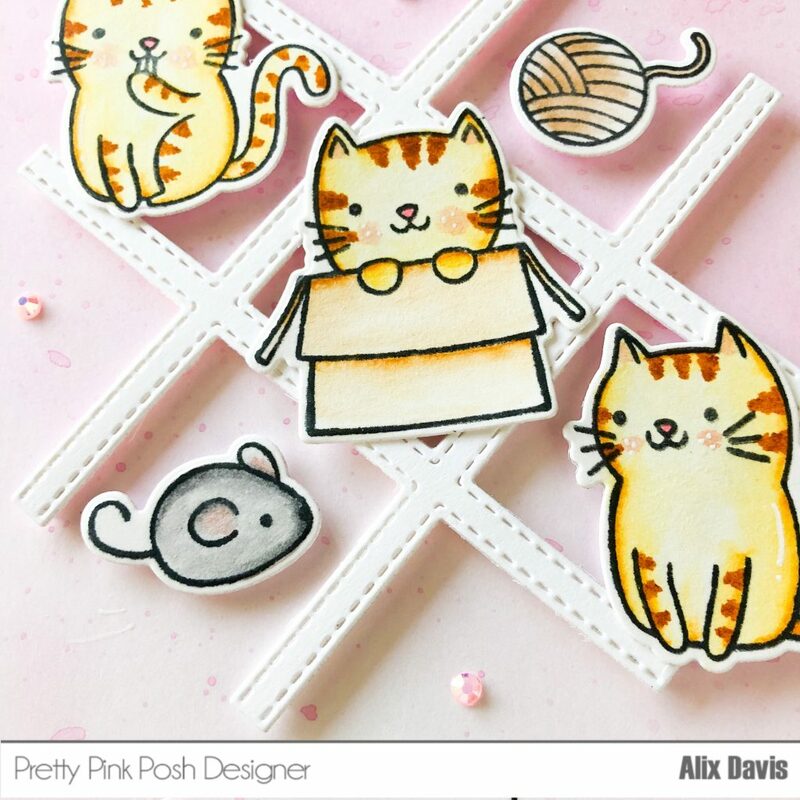 while I Let it set to dry, I colored images from Pretty Pink Posh Cuddly cat stamp set with copic markers and white gel pen to decorate a little, then I die cut them using Coordinating Dies. I cut the die cut piece using Pretty Pink Posh Tic Tac Toe Die and I adhered it with some Foam strips. I arranged all colored images with Foam tape into Tic Tac Toe map (It is fun like I was being a kid playing game again) I stamped sentiment from Pretty Pink Posh Everyday Greetings Stamp set using Memento ink in Tuxedo black and finished the card with some Pretty Pink Posh Jewels in Pink Blush. Thanks for stopping by today. 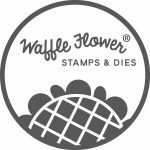 Btw to remind you all, Pretty Pink Posh is having 20% off for all Floral stamps right. Great time to grab some! 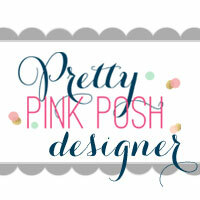 This entry was posted in Cards and tagged Cuddly cats, Pretty Pink Posh.